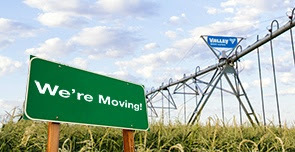 After six wonderful years of calling Blogger our “home,” the Valley® Growing the Conversation blog is moving! Starting today, you’ll be able to find our blog posts directly within the Valley website at www.valleyirrigation.com/blog. Since we started “packing up the place,” we’ve gotten the question “Why are you moving?” more times than I can count. We’re moving so that YOU can find Valley more easily! By moving the Growing the Conversation blog into our website, you’ll be seeing more links to Valley from your Google searches. Of course, we also had to take the opportunity to spruce it up a bit. If you are a current subscriber to this blog, we invite you to re-subscribe on our new blog here! If you are new reader, we invite you to begin following us at any time. Just click on the RSS icon on the blog and you’ll be good to go. Thank you, Blogger, for many years’ worth of blog hosting and friendship. You’ve never let us down! Kelly is a native of Omaha, Neb., and has degrees in English and web development. She joined the Valley Irrigation Global Marketing Department in 2008 where she shares her love of web and all things digital marketing with her colleagues and the Valley dealer network. Outside of her life at Valley, Kelly enjoys reading, singing and spending time with her family. From the equipment they purchase to time spent in the field, growers put many resources into their operations. A grower’s investment involves much more than money. 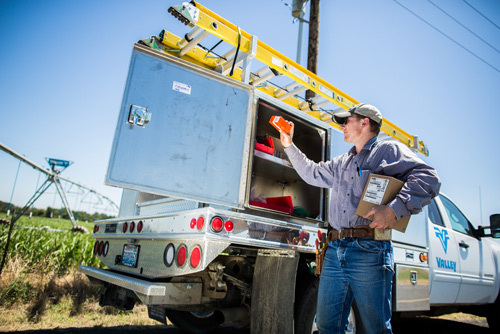 Growers have every right to expect trustworthy, skilled and knowledgeable salespeople and service technicians at their local Valley® dealership. At Valley University, we strive to make sure this expectation is not only met but exceeded. By providing our dealerships with the most accurate and up-to-date information on our products, we ensure that they are ready to answer any questions a grower may have. It is our goal to give all dealership sales employees the knowledge and skills needed to determine the best irrigation solution for each grower’s specific needs. The commitment of excellence Valley makes to its customers goes beyond the point of sale, just like our commitment to support all dealership roles. In addition to product information, we provide courses to train service technicians. When service personnel are more knowledgeable about and experienced with Valley equipment, they are more efficient and accurate at the job site. To train our dealerships’ service techs, we use interactions and simulations within our online courses. Service technicians can practice product installations and troubleshooting before ever leaving their dealership. This increases their comfort with the machines, and gives our growers peace of mind that they have the best trained service techs working on their equipment. The Valley U team is dedicated to making online learning accessible and beneficial to our dealerships. We already know we have the best mechanized irrigation products available, so it’s our job to focus on making sure we have the best dealerships in the world to support our growers. 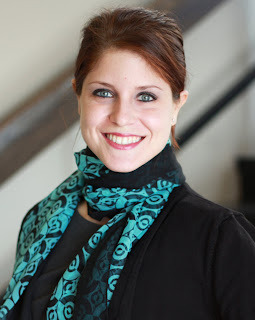 Kelly joined Valley Irrigation in early 2014 as an E-Learning Instructional Designer. When she isn’t at work, she is typically creating replica costumes and props from films, comics, and television shows. 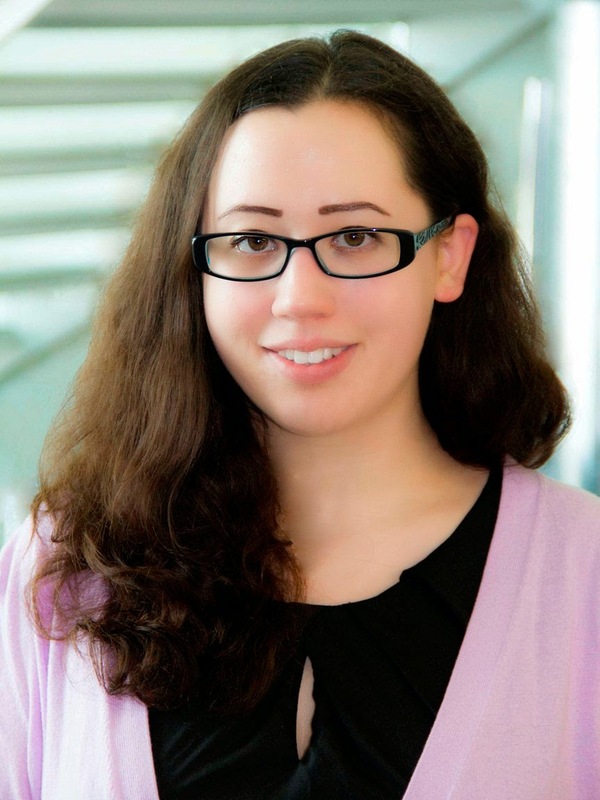 Kelly also enjoys learning languages and is conversational in French and Korean. She loves to travel, and has lived abroad while studying in South Africa and South Korea. 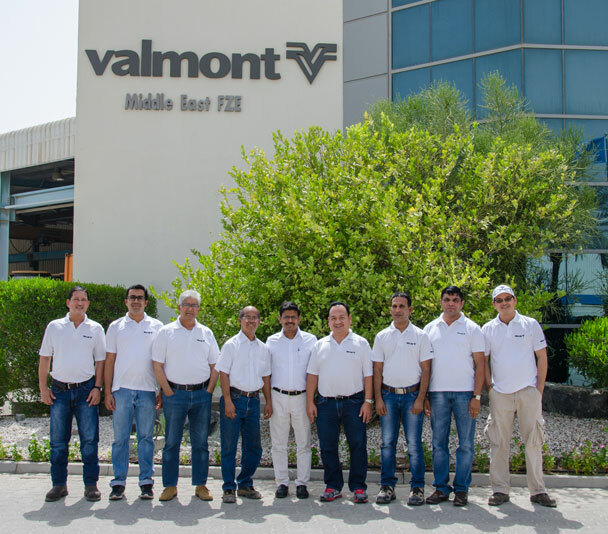 Established in January 2001, Valmont® Middle East (VME) has grown into a leader in safety, quality, delivery and cost. VME has matured from a Valmont Industries Inc. toddler into one of the key manufacturing plants for the Global Irrigation Division. Pilot production began in March 2002, providing customers with cheap shipping and excellent financial trade services. VME significantly expanded the scope of its capabilities through the years, primarily focusing on efficient customer services and lean manufacturing. Its work has fostered deep and healthy relationships with key customers and dealers, helping them grow. 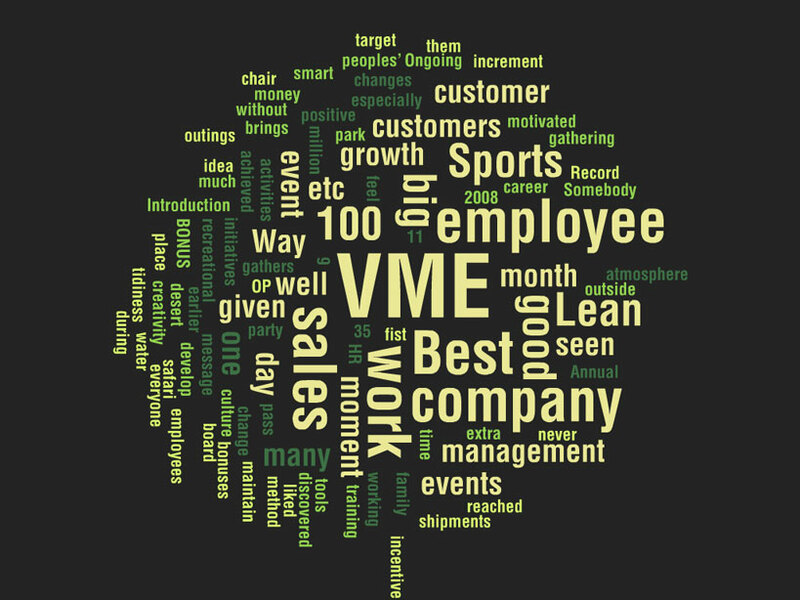 Ever true to its humble origins, the staff at VME bases its reputation on passion, integrity, continuous improvement and delivering results. This year, 11 of our 80 dedicated employees are celebrating 10 years of service with the company. All of them believe that VME is a great company to work for and continually strive to meet the wants and needs of our customers. 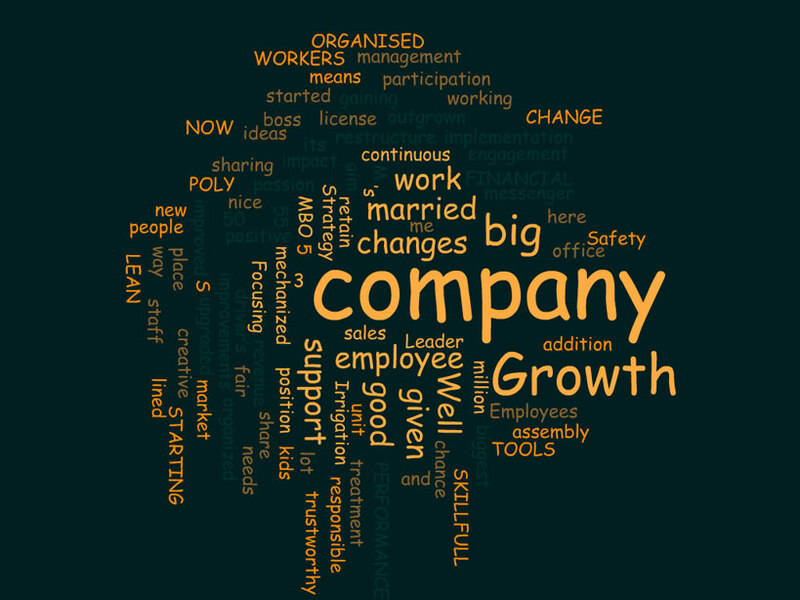 We asked these dedicated employees for honest feedback on their experience with VME and gathered their answers into word clouds to share with you. What makes Valmont so enjoyable to work for? What’s the biggest change you've seen in VME since starting? Tell me about the best events or moment you had as a Valmont employee. Congratulations to our team of employees, who are listed below. We know they - and the entire VME team - will continuously strive to reach its goals by doing business the Valmont Way. 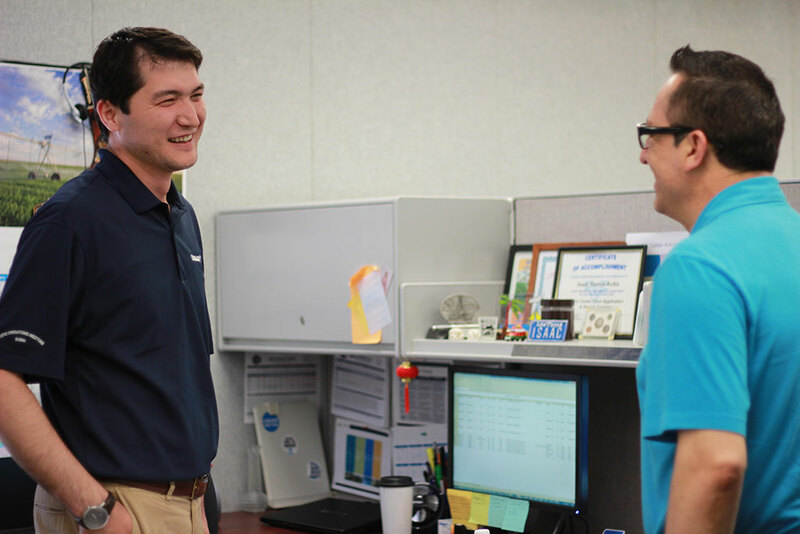 With employees who are keen on the Valmont Core Values, we are excited to grow from a good company into a great company. 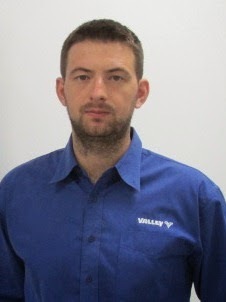 Adrian has been working for Valmont® Irrigation for more than 3 years. He is an agricultural engineer and has worked for the largest suppliers of machinery in Ireland. He enjoys designing and manufacturing farm machinery. Adrian was a member of the Middle East hurling team that won the international championship last year. He also plays soccer and likes going to the movies and relaxing at the pool. These days, the Valley® brand is more than ever incorporating technology into its core. Of course, it’s not going to forget its roots in steel and gearboxes, but evolving is part of the game. Part of this evolution resides with how we market the Valley brand. We’d all have to be living under a box to not notice how much time people spend on their mobile phones. I was walking through a baby store recently, and a woman was pushing a stroller, holding a toddler’s hand, AND updating her Facebook status. I’m still trying to figure out how she was doing all of this with just two hands, but the point is she was on her phone while trying to parent her kids. People are on their phones ALL. THE. TIME. (Even if we don’t necessarily agree with the timing.) So, why shouldn’t brands and companies take advantage of this? We first launched the Valley mobile website a few years ago when we started to notice people using their phones for more than just calling other people. Since then, online search via mobile phone and tablet has literally skyrocketed, and so we thought it was time to update our mobile site to provide people with what they want, regardless of their computer preference. 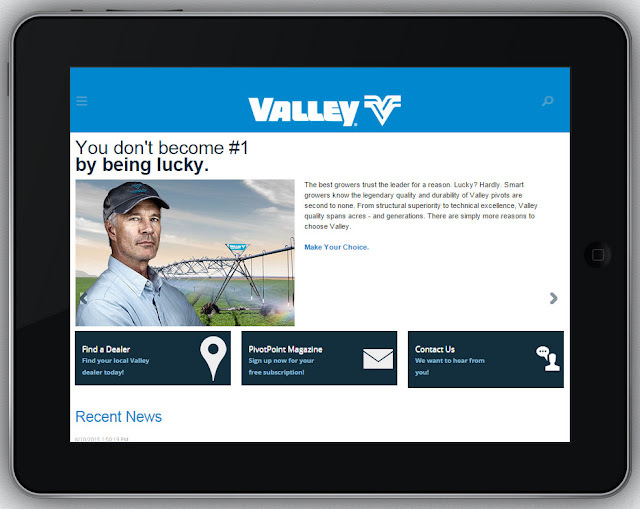 Thus, we recently launched the new, improved Valley mobile website. You will find the exact same information and content on the mobile site as you do on the desktop site. Looking for a video? We’ve got videos! Looking for a brochure? We’ve got brochures! Looking for information on why you should buy Valley over the other guys? We’ve got that, too! You can find everything you might need at the tip of your fingers. Have I intrigued you? I hope so! 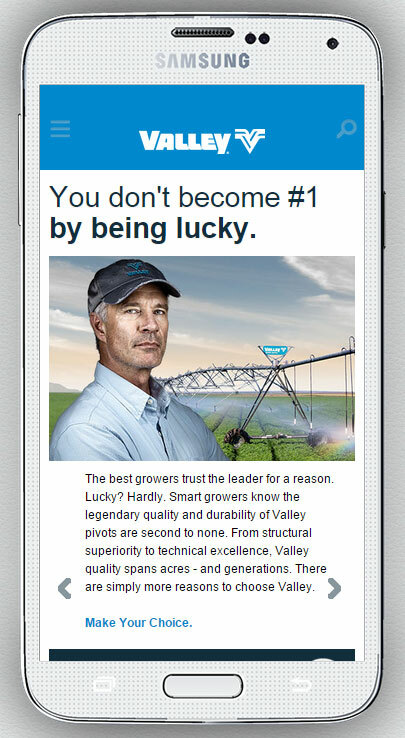 Before you do anything else, visit the new Valley mobile website from your mobile phone or tablet at www.valleyirrigation.com or m.valleyirrigation.com. Today’s farmers are charged with the immense undertaking of providing food for an ever-growing world population. And many have to perform under the pressure of restrictions to conserve land and water. It’s a substantial responsibility, and one that people outside the agricultural community don’t often consider. With forecast stats like these, irrigation is clearly part of the solution. Without it, growing the volume of food the world needs will prove challenging. Just ask John Schuerman. Schuerman has been working on his family farm near Seymour, Ind., since he was 14 years old. He’s not new to farming, but he is new to center pivot irrigation. In fact, he is one of the first in the area to implement it. He worked with Andy Wolka of B&W Agri Products in Seymour to install his first two Valley® center pivots last spring and installed two more in the fall. Wolka says he’s encouraging new irrigators to start watering conservatively. “We know water will be at a premium, even in places that have plenty now, so we want to do this right and start out with conservation in mind,” he explains. Schuerman didn’t get his pivots in until after the growing season started, and there were three weeks of dry weather before the pivots were up and running. “It’s a whole lot better than crop insurance, I can tell you that,” Schuerman says. “If bad times hit, irrigation can help a lot. While organizations, corporations and government entities are researching ways to increase food production, in the end, it will be up to growers to make it happen. 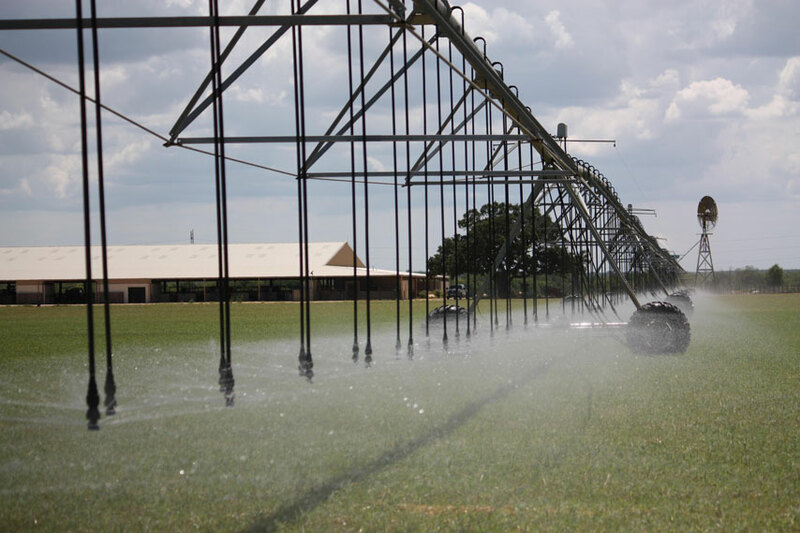 Examples like this further prove that irrigating is more productive than dryland farming, and that irrigation could make all the difference in feeding the growing population. 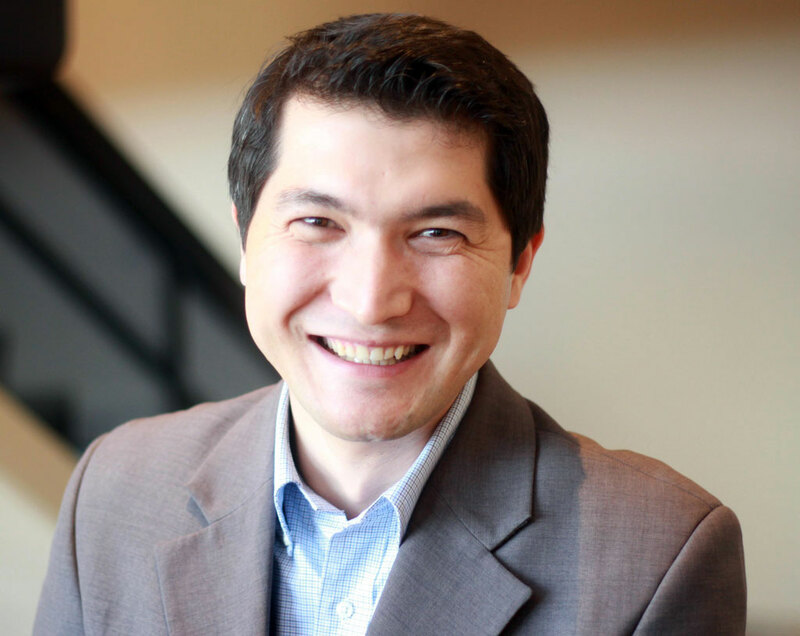 Behzod “Ben” Soliev, a native of Uzbekistan, joined Valley® Irrigation in 2011 as an international project manager, working to build Valley site capabilities and optimize global supplies. He manages projects for international irrigation, mainly operation- and business-development projects such as locating future plant sites, start-ups, developing new standards for our international sites and knowledge sharing. Ben also supports the supply chain for our international locations. “I like that Valmont®, and Valley in particular, is a multinational company with offices and plants around the world,” Ben says. “It makes me proud to work with the great people of Valmont. Ben is a co-founder and the first president of the newly created Valmont Professional Network that focuses on attracting and developing top talent through professional development, community involvement and networking. In his free time, Ben likes traveling and exploring new places, talking over Skype with his family in Uzbekistan, hanging out with friends, watching movies and documentaries, and reading books. 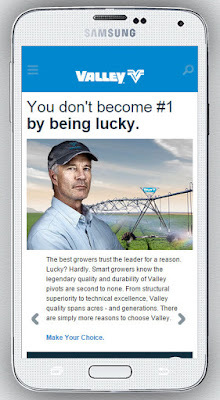 With products that set the standard for innovation and quality, Valley Irrigation is the technology leader in center pivot and linear precision irrigation worldwide. For nearly 60 years, Valley has developed products based on a vision of merging advanced technology with high functionality in order to meet customer needs. 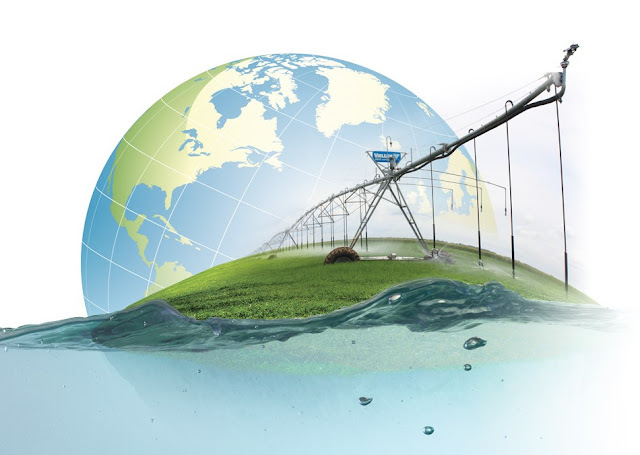 Today, Valley Irrigation offers a wide range of products that meets the demanding needs of precision agriculture. For more information on Valley Irrigation, visit ValleyIrrigation.com.